Karen Russell’s online novella Sleep Donation, reviewed. Her new novella shows her MacArthur grant was no fluke. 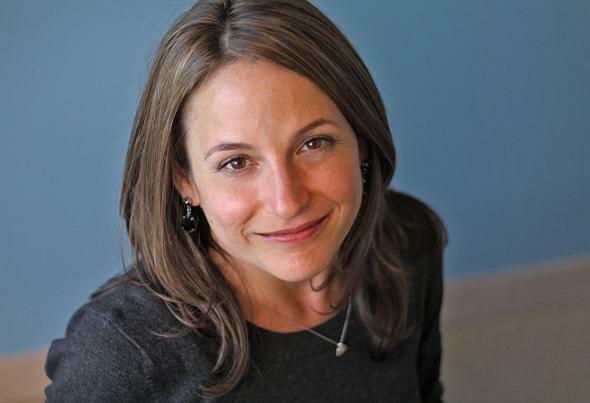 So, Karen Russell, good at her job? AYOOP. Atavist, a media and software company known mostly for publishing longform journalism, will unveil its Atavist Books division on March 25. Kicking off the launch is an exclusive, digital-only novella by Karen Russell, Sleep Donation, which you can read on the Atavist phone or e-reader app, Creatavist. The app, with its alien name and clean interface, is a fitting portal to the gently dystopic future Russell imagines: a logged-on, over-stimulated, screen-entranced society, peopled by characters too estranged from their natural rhythms to dream. Russell is (I would say rightly) a critical darling. In a review of her 2012 novel Swamplandia, the New York Times’ Janet Maslin called her “one in a million,” able to “use bizarre ingredients to absolutely irresistible effect.” Emma Donoghue praised her “flashes of quirky humor” and “exuberant characterization.” And she has “a tough, enveloping, exhilarating voice that cannot be equaled” and “is not afraid to make the page tremble” and will soon “announce herself as one of the great American writers of our young century.” So, Karen Russell, good at her job? AYOOP. Yet huddled in guilty darkness are the doubters, irritably brushing strands of the Russellian web of enchantment from their shoulders. They are the ones who have groused to me (quietly) that two books of stories and one novel do not yet a genius make. They may have cheered (in private) when Swamplandia was one of three finalists to be snubbed by the Pulitzer Board in 2012. They may even be book-review editors who sighed (confidentially) when an eager writer pitched a review of this new novella. Even the critical raves contain smatterings of interrelated qualifying words and phrases—“noxiously fanciful,” “almost insane,” “self-conscious,” “forced,” “mannered whimsy,” “overwrought creativity”—that suggest, if not a backlash, a Straw Man Russell to be dismantled in the course of feting the real one. So while Russell may not need a woozy swooning defense, I want to stump for her just to make double-dog sure we know who we’re dealing with. And I’ll start by asking those who encounter her lush sentences and speculative wit in Sleep Donation and continue to doubt: How do you sleep at night? Invoking her sister’s death, Trish is able to convince a couple, the Harkonnens, to donate their baby’s rest to the Slumber Corps. Baby A’s uncorrupted dreams prove valuable enough that the team begins to depend on her as a “universal donor,” raising questions of exploitation, innocence, and legacy. Meanwhile, an anonymous donor complicates these questions by polluting the country’s sleep supply with a nightmare so hideous those infected would rather die of insomnia than fall asleep. Is that donor a well-meaning altruist who slipped through the corps’ regulatory net, or a terrorist? One of the great set pieces in Sleep Donation is Trish’s visit to a Night World, one of the “mazes of tents, nocturnally blooming speakeasies” at which black-market remedies are sold to desperate insomniacs. Some customers buy soporifics; others, afflicted with nightmares from contaminated sleep transfusions, take drugs to stay awake. Trish and her guide, Mr. Harkonnen, do both, chasing draughts designed to amplify consciousness with handcrafted sleep cocktails. Duly transported, the pair wanders through a field of poppies, their meandering taking on “a sultry inevitability … a logic that mimics the odd chordal progressions of dreams.” What are they doing there? It’s not clear; the entire episode has the doped-up feel of sleepwalking, a purposelessness drenched in meaning. By the time Trish and Mr. Harkonnen reach a clearing and lie down to sleep (not—spoiler alert—to sleep together, but side by side to navigate the line between consciousness and oblivion), we’ve left the world of alienating bargains, of cut-and-dried exchange. In Sleep Donation, this is what intimacy looks like. Any insomniac can attest that a night awake seems to distill the trace amounts of loneliness in your life. Russell pursues this idea to an extreme, suggesting that simply to be awake means to desire without end. “People are plunging their straws into any available centimeter of shale and water, every crude oil and uranium and mineral well on earth, with an indiscriminate and borderless appetite,” Trish says, considering Slumber Corps’ voracious pumping of Baby A. “Fresh air, the sight of trees—these are birthrights and pleasures that we seem bent on extinguishing.” Yet a point comes when all that abundance curdles and turns, when we are buried by our own hungers. Of insomniac Dori, Trish recalls: “I hated watching her go speechless under the conglomerate weight of so much unrelenting looking and thinking and listening and feeling, her mind worn thin by the sound of every cough and the plinking moisture of every raindrop, these noises exploding like grenades through her naked awareness—her mind crushed, in the end, by an avalanche of waking moments.” It is hard not to connect the geologic imagery in the two passages, to suspect that Russell has diagnosed something elemental about the way we grasp for things we may or may not want. But back to the doubters. Russell has a way of reserving her most sensible tone for the most outlandish details, as if what she’s sketching is not at all illogical or strange. I get the sense her detractors are put off by this, by an effect they perceive as overly twee or coy. (One critic grumbled that the “cuteness and cleverness of her constructions overwhelm” her tales’ impact.) But in Sleep Donation, as in her short stories and Swamplandia, matter-of-factness becomes an asset, heightening the weirdness by contrast and acquainting us with our readerly situation: bizarro world, level-headed and trustworthy narrator. In the magical realism of our own lives, that’s sort of how we see ourselves. Sleep Donation by Karen Russell. Atavist Books.